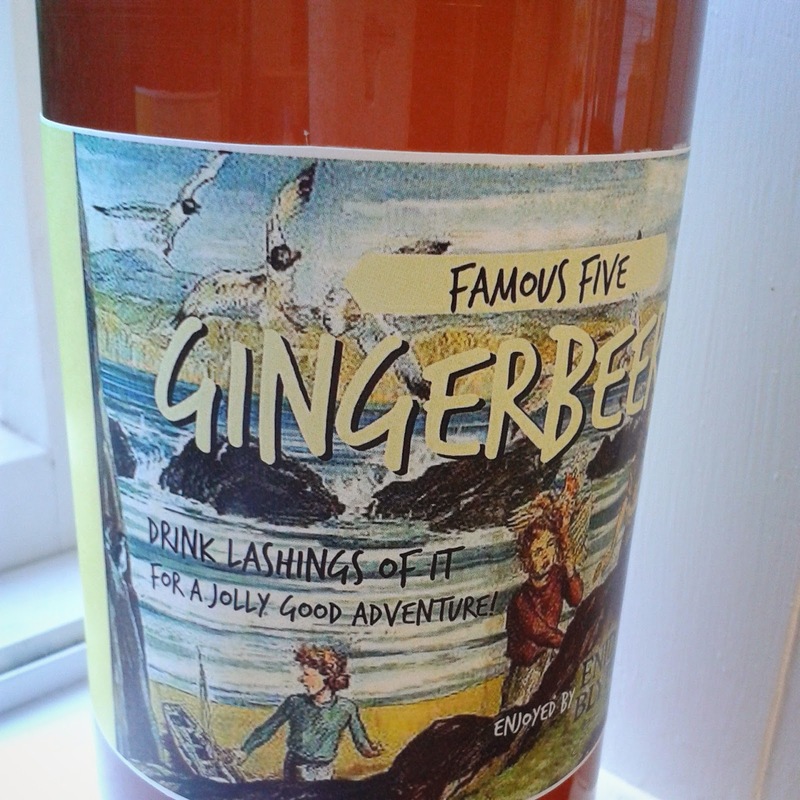 Any excuse for a party, I say, and School Holidays is reason enough. It's become a bit of a habit, throwing an impromptu party-for-no-reason when school is out; a chance to gather friends, and kids-of-friends, eat food and drink coffee. 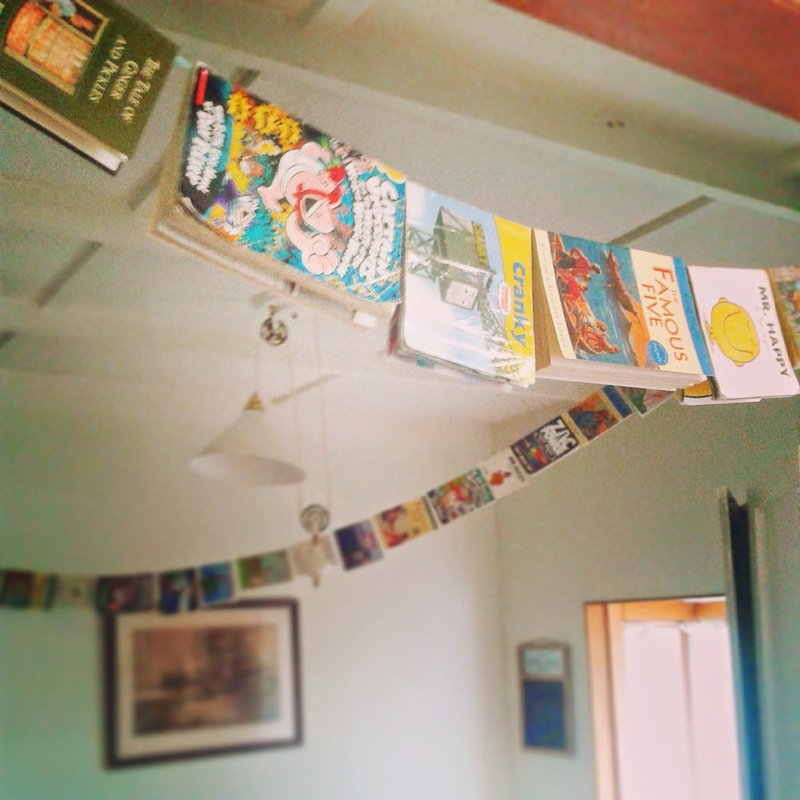 We've had themeless parties-for-no-reason, a Lego party, garden parties and last school holidays, Book Club: Kids Edition. 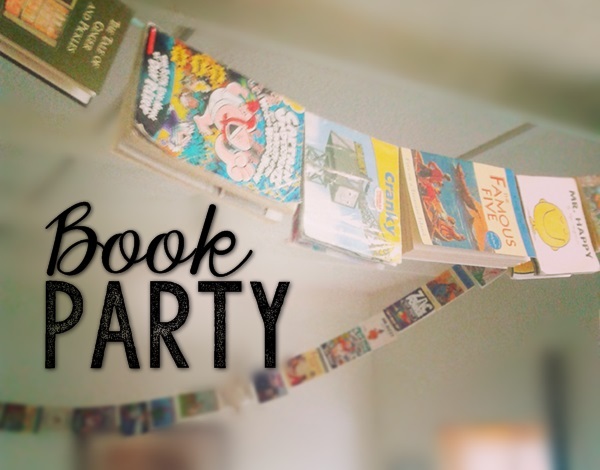 This led me naturally to the idea of throwing a Book-themed party this time. 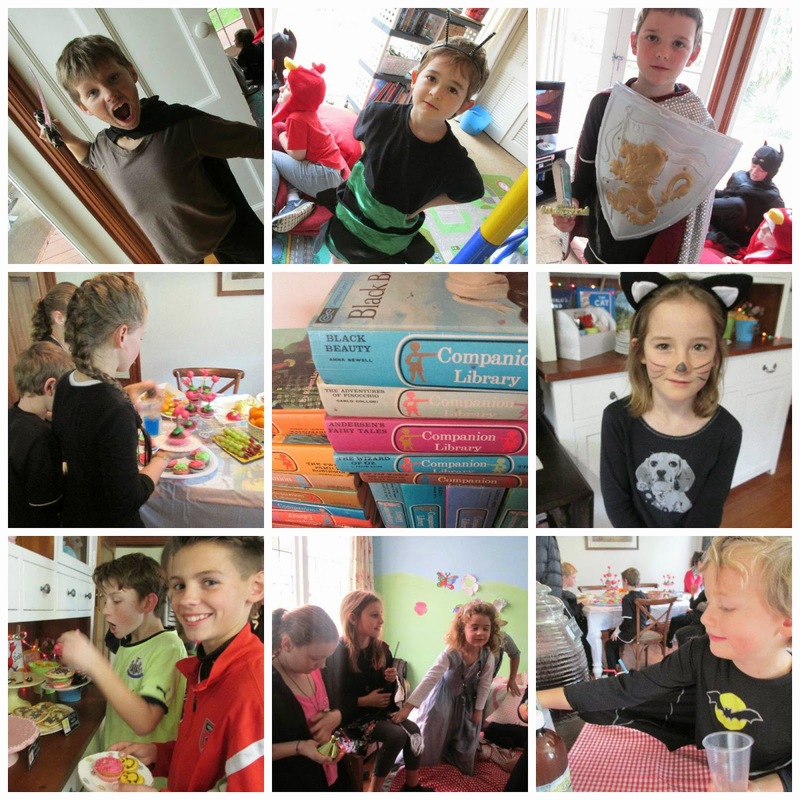 Invite the kids to dress up, and the mums to bring book-themed food. What could be simpler, right? 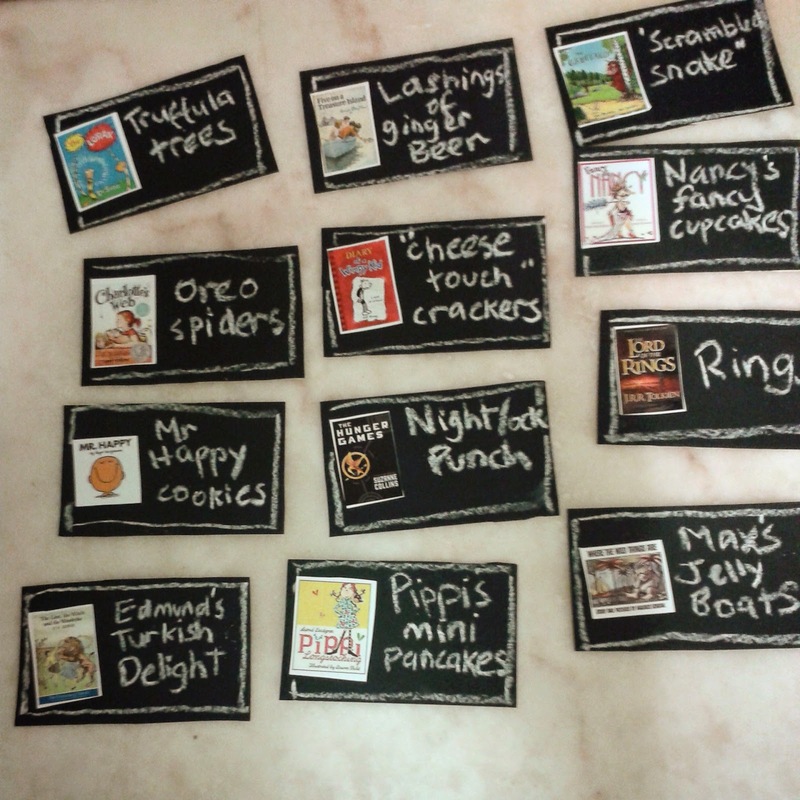 For the table, I laid out thin paper-backed picture books and covered them with a $2 white plastic tablecover. Too easy, and cute. But what you really want to see is the food, right??! MR HAPPY COOKIES (from Mr Men books): plain packet biscuits topped with circles of rolled out yellow fondant; the face drawn on with chocolate squeeze-tube icing. CHEESE TOUCH CHEESE N CRACKERS (from Diary of a Wimpy Kid): cheese and crackers! MAX'S JELLY BOATS (from Where the Wild Things Are): blueberry jelly set in cups; a mandarin segment spiked through with a toothpick and a paper triangle. EDMUNDS TURKISH DELIGHT (from The Lion The Witch and The Wardrobe): Turkish Delight. From a packet. 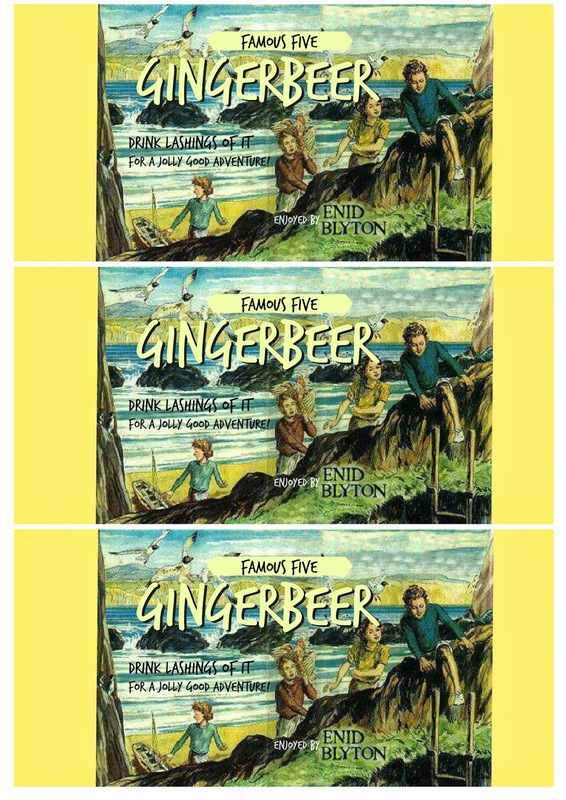 To drink we had NIGHTLOCK BERRY PUNCH (from The Hunger Games) and LASHINGS OF GINGERBEER (from Famous Five; grab the free printable labels below). 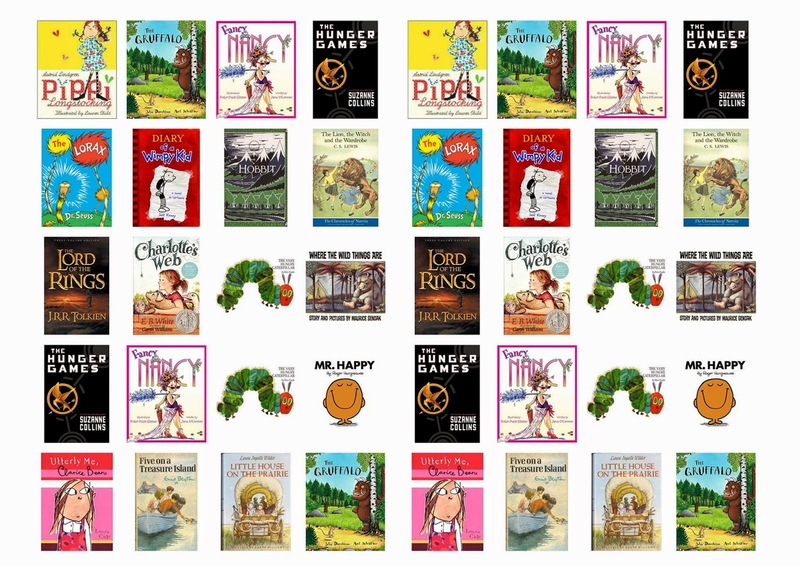 There were no book games or activities (though I did briefly consider a Book Quiz); this is not a birthday party after all. It's a chance for the mummies to get together and drink coffee while the kids rampage through the house with their friends on a rainy day, where they might otherwise be stuck inside, bored. Can you figure out who they are dressed up as??? 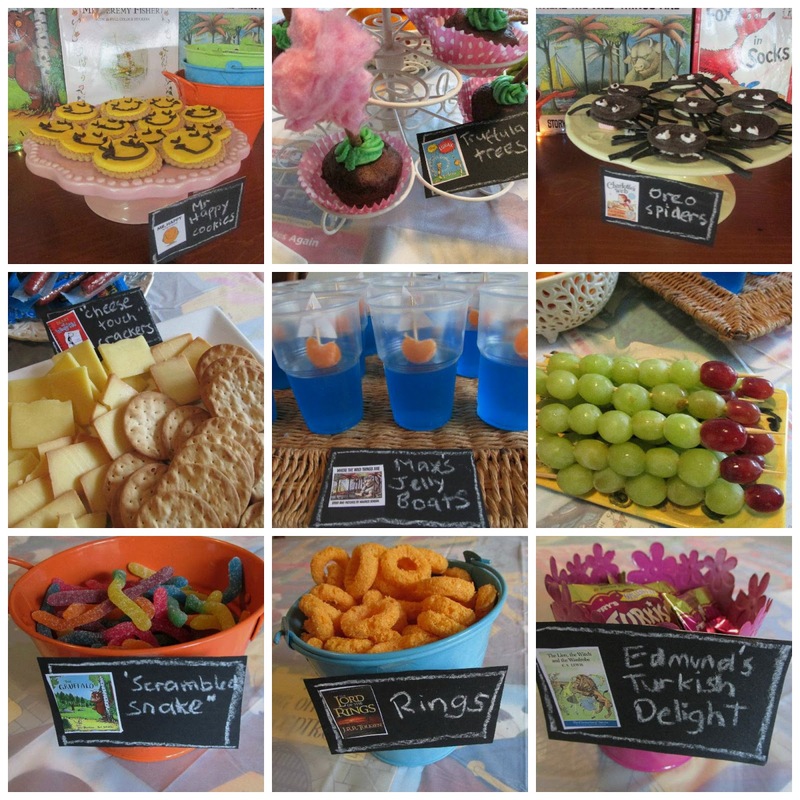 So at out school holiday book party we ate book themed food, drank book themed drink, and hung out with our friends while the rain fell and the wind blew. It was loud. It was crazy. It was messy. But it was so much better than being stuck inside on our own. Have you ever thrown an impromptu party? You should try it sometime. It's fun.